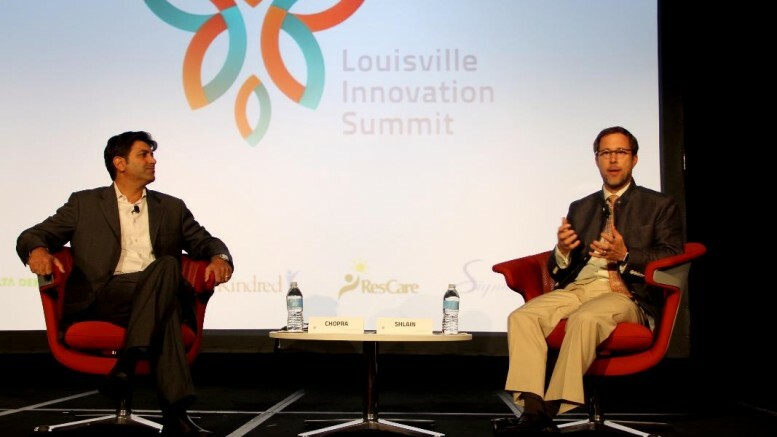 The third annual Louisville Innovation Summit will address many issues facing the Aging Care industry, as it presents its third annual summit in Louisville, KY, October 9-11 th at the city’s downtown Marriott. In the last few weeks, the Summit has added an exciting line up of industry leaders to its growing list of world-renowned speakers. Esther Dyson, a Swiss-born American journalist, author, businesswoman, investor, commentator and philanthropist, has been added as the event’s third major keynote speaker. She is a leading angel investor, focused on breakthrough efficacy in healthcare, government transparency, digital technology, biotechnology, and space. She joins previously confirmed LIS keynote speakers, Alexandra Drane, co-founder and chair of the board at Eliza Corporation, and Mark Ganz, president and CEO of Cambia Health Solutions. “Esther Dyson joins Mark Ganz and Alexandra Drane to make a keynote lineup that combines technical genius with accomplished business achievement,” said Ted Smith, Chief Innovation Officer for Louisville Metro Government. “Having conquered so many technology markets, she truly understands the opportunity digital health, virtual technology, big data and population health management will bring to the senior care segment. Like many of our other speakers, she will help us see a little farther down the road ahead for the Aging Care industry,” Smith added. In addition to its lineup of industry thought leaders, the conference will hold the Startup Pitch Event that is designed to help match aging care entrepreneurs with investors looking to advance new companies within the aging care space. More than 100 applications have been received for the contest. Cash prizes are awarded to one national and one Kentucky winner along with the potential to work with a major corporate sponsor for guidance and product pilots. David Jones, Jr. of Chrysalis Ventures and Humana, Inc.
Stefanie Dhanda of Johnson & Johnson Innovation. Robin Farmanfarian, bestselling author of “The Patient as CEO” and David Eagleman, PhD, New York Times Bestselling Author, and host of the acclaimed PBS series “The Brain” will share a fireside chat on Disruptive Aging. Kim Bond Evans, former mergers and acquisition director for Microsoft and co-founder and CEO of digital health company Seremedi, Inc., will lead the session “Healthcare as a Team Sport” on value-based care. The Louisville Innovation Summit is a conference event held annually that explores what’s new, important and trending in the Aging Care industry, including digital health, health data, new care models, entrepreneurship and much more. The event is sponsored by more than 20 contributing sponsors, including Louisville-based Founding Partners, Delta Dental of Kentucky, Humana, Kindred Healthcare, PharMerica, Signature HealthCARE and Trilogy Health Services as well as the following sponsors: AARP, CDW, Chrysalis Ventures Cisco, Hall, Render, Killian, Heath &amp; Lyman, HomeHero, Hosparus, Louisville Convention &amp; Visitors Bureau, Louisville Forward, Louisville Metro Government, Masonic Homes of Kentucky, Inc., Norton Health Care, PwC, Southern Grazer’s Wine &amp; Spirits and University of Louisville. For more information or to reserve your ticket for the 2016 conference, visit http://www.lisummit.com.